Female representation on the boards of Australia’s 200 largest companies has increased from just over eight per cent in 2009 to more than 28.5 per cent at the end of August this year. There are now only three companies in the top 200 – ARB Corporation, Tassal Group and TPG Telecom – that have no women on their boards, compared to 30 such companies just three years ago. The pace and scale of change on Australian boards has been impressive. What is most remarkable about it, however is that it has been achieved without the introduction of mandated quotas for the appointment of women to boards. While comparable countries lagged behind, a coalition of Australian organisations and individuals advocated for change and achieved results through the adoption of voluntary targets. Chairs of ASX 200 companies, the Australian Institute of Company Directors, the Male Champions of Change, and importantly, the Australian Chapter of the 30% Club have moved the dial on gender diversity in Australia. The 30 per cent voluntary target has been adopted by 83 companies on the ASX 200, with the ASX 100 already at 30.5 per cent. This puts Australia’s largest 100 companies ahead of the UK, US and Canada. Crucially, the appointment rate of women to boards in 2018 has been a game changer. For the first time women are being appointed to ASX 200 boards at the same rate as men (as at 31 August 2018). Indeed, in March, April and June, women accounted for 60 per cent or more of appointments. While it’s always hard to predict factors, such as board turnover and tenure, we can see through the appointment rate that the boards of most Australian companies have embraced voluntary targets as a way to achieve change. When the 30 per cent target was set, there were of course naysayers. Some argued that we shouldn’t have set a target in the first place, while others argued such a goal could never be achieved with voluntary targets alone and legislative intervention would be needed to achieve change. Australia’s experience shows that this is not the case. But it also however shows how valuable the support of the investor community is in achieving change. Both research and common sense tell us that boards that genuinely embrace cognitive diversity, which can be established through diversity of gender and a broad spectrum of skills and experience, are more likely to achieve better outcomes for investors. From the Australian Council of Superannuation Investors to professional investors such as Lazard Asset Management and State Street Global Advisors, the voices of investors have been powerful in advocating for change. That is not to say the fight has been easy or unopposed. Australia has a systemic and cultural problem with women in power. In many ways our society is still highly culturally conservative in the way it views women. I would be being disingenuous if I claimed otherwise. This underlying opposition was thrown into harsh relief earlier this year in the reporting around the current Royal Commission into Misconduct in the Banking, Superannuation and Financial Services Industry. 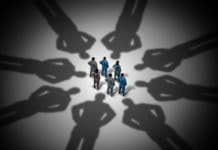 The Royal Commission has brought to light a number of cases of corporate behaviour that have fallen short of community expectations and, in some cases, possibly the law. However, in only one of these cases was the gender of the corporation’s chair brought into play – and there’s no prizes for guessing that the chair in question was not a man. In this case, the flawed syllogism invoked by opponents of greater gender diversity was that women have been appointed to boards to improve performance, but boards of financial services companies have failed to provide adequate oversight, and therefore greater gender diversity on boards does not improve performance. Such a proposition is fatally flawed. It ignores the collective responsibility of all board members, including male board members. Nor does it acknowledge that boards comprised solely of men have overseen many much greater failures in Australian and international corporate history. Yet none of those prompted people to ask whether there was a problem with having only men in charge. To paraphrase International Monetary Fund chief Christine Lagarde, no one asked what would have happened if Lehman Brothers were Lehman Sisters. It is a director’s role to ask difficult questions, to challenge management and be bold enough to speak up. There are more than enough talented and qualified women in Australia to take up that challenge. Yet, as we near the 30 per cent voluntary target, some nagging fears have emerged. There are fears about a backlash to greater diversity, both gender and otherwise, on boards. Some wonder if once the spotlight shifts elsewhere the big boards will revert to type – that is to say, male. Others fear that when we reach the 30 per cent hurdle, it will become a ceiling, rather than a floor. Some want to see the bar raised to 50 per cent, while others call for the spotlight to be widened beyond the top 200 companies, to the companies that have so far escaped the glare of investors and advocates. Now that the 30 per cent target for ASX 200 boards is in sight, the Australian Chapter of the 30% Club will consider where to go from here, with both these opportunities and fears in mind. On the immediate horizon are changes to the ASX Corporate Governance Council Principles and Recommendations, which are an important component of Australia’s corporate governance framework. The Principles, which are intended to provide flexible, industry-led guidance on what constitutes good governance for listed entities, are currently being reviewed and look likely to further advance the case for greater gender diversity on listed boards. The draft fourth version of the Principles includes a new 30 per cent measurable gender target for boards across the ASX 300. If introduced, the recommendation would support the momentum towards more gender-balanced boards. And maintaining the momentum is important. Boards need a range of skills, experience and perspectives to provide effective oversight of their organisations, particularly as we confront rapid changes in technology and science, as well as the challenges associated with the work and workplace of the future. Put simply, having diversity around the board table is crucial for the governance challenges ahead. The evidence is clear that gender diversity and diversity on a whole is good for organisations, both in terms of performance and culture. The 30% Club continues to have a burning desire to advocate for greater gender diversity in senior leadership roles in Australia. We have strong support from the business, political and, importantly the investment communities to see diverse boards as well. 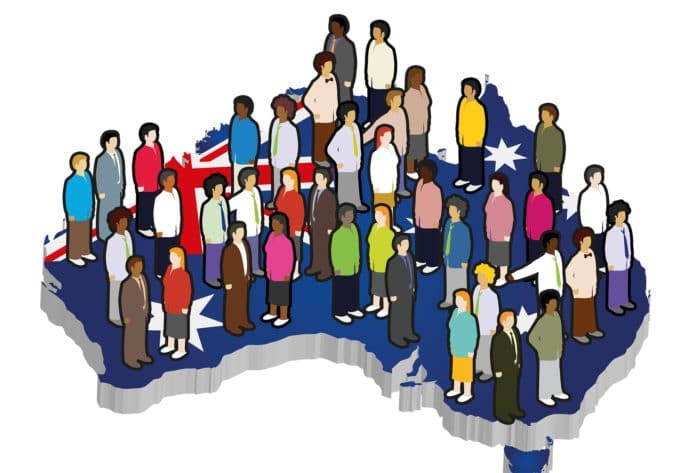 I also believe our employees, customers and the community at large expects the composition of boards to reflect the broader Australian population. It’s behoven on us as governance and business leaders to meet that expectation. Nicola is Chair of the 30% Club Australian Chapter. 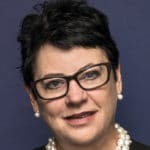 She is also a director of Lendlease Corporation Limited, Macquarie Group Limited, Macquarie Bank Limited, BUPA Australia & New Zealand, and the Australian Institute of Company Directors. She a member of the Australian Government Takeovers Panel, the Clean Energy Finance Corporation and a director of UNSW Foundation Limited. Nicola has significant Asia-Pacific experience as a corporate finance lawyer and was a partner at King & Wood Mallesons for more than 20 years. She held several key management positions during this time including Managing Partner International in Hong Kong and Managing Partner, Practice, Sydney.